Loaded down with luggage, I made the seven-minute trek from baggage claim through the covered walkway to the pier. With shoulder length blonde hair that would make even Fabio envious, Mario greeted me in his private water taxi with a broad, toothy smile. 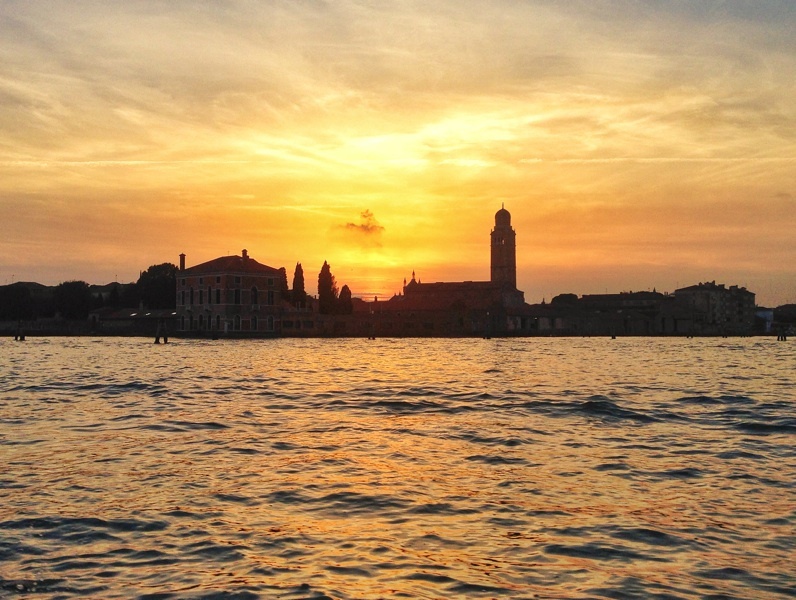 It was my first trip to Venice, and this scenario wasn’t a bad introduction to the city. I climbed into the back of the boat and made myself comfortable. Before taking the wheel, Mario turned up the music and sang along to Journey in perfect English. How apropos, I thought. The sun was beginning to set, making the water highway look more like the yellow brick road. With “Don’t Stop Believing” as a soundtrack, I relished every surreal second of the twenty-minute ride to my palazzo. Deftly navigating the Venetian canals, Mario delivered me to my Passepartout Home located in the Castello district, near the Church of San Giorgio dei Greci. 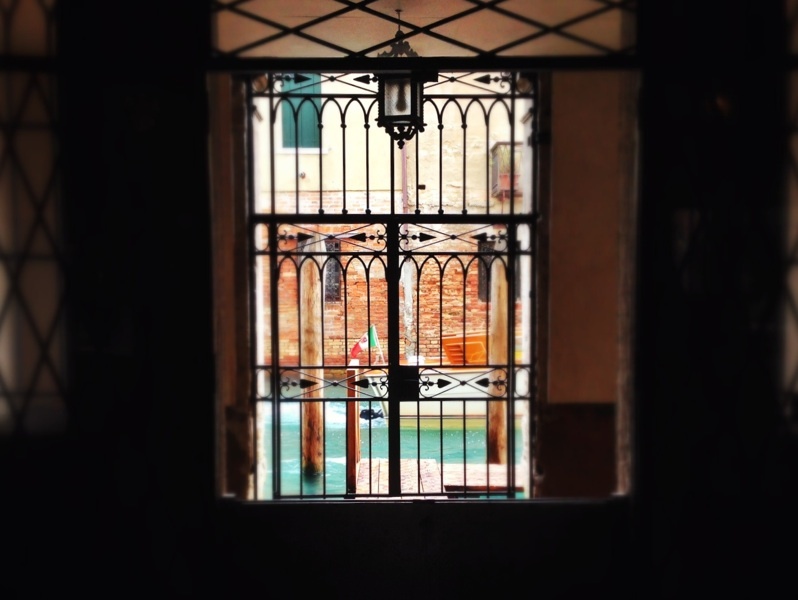 A short pier jutted out from the palazzo’s entrance, and at the end was the attentive owner, Rosanna, to welcome me. Through the wrought-iron doors, I entered into the salon and stepped back in time. Known as Ca’ Salvioni, the palazzo dates back to around 1580. Built by wealthy Greek merchants, it was designed by Jacopo Sansovino, a devotee of Michelangelo. Soaring frescoed ceilings, stucco, oil paintings, and Murano glass chandeliers graced the main floor. 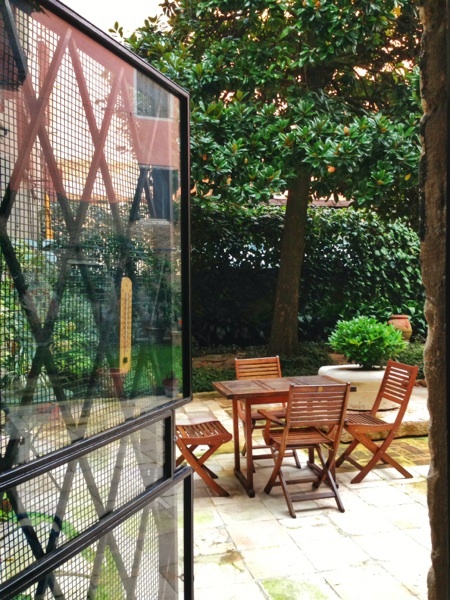 A small door opened up to a private garden, a rare commodity in a city built over water. I didn’t have to see anything else to know that I was in a special and privileged place. 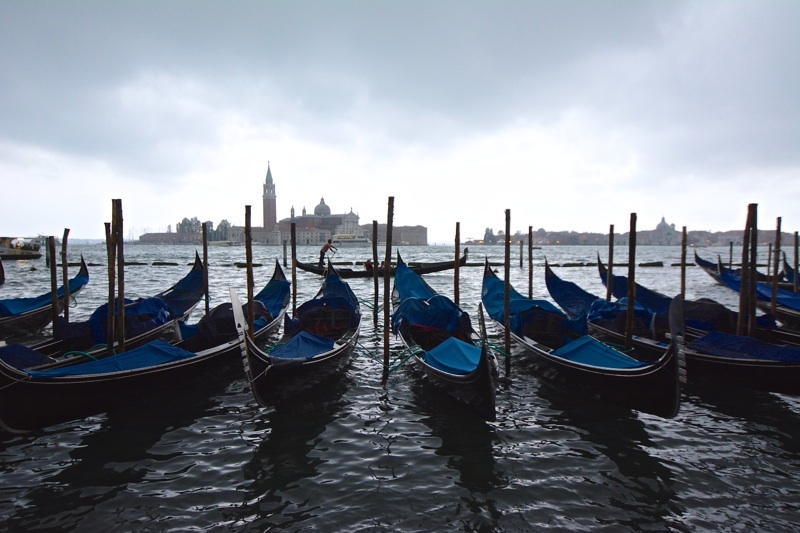 Ca’ Salvioni embodied my vision of a Venetian palazzo, making my introduction to the famed city feel more dream than reality. Driving my rental car, I set out past the Florence airport in the direction of Prato, a small city known for its textile industry. With McDonald’s on my left and a shopping mall on my right, I exited the nondescript toll way and ventured into the Tuscan countryside. Within fifteen minutes and about eight roundabouts, the road became narrow and winding. Gone was the hustle and bustle of the city, and instinctively, my right foot lightened up on the gas pedal. Before reaching Bacchereto, a tiny village with a few places to buy food and a Catholic church, there is an imposing metal gate. Blink and it’ll be missed. Unassuming from the road, what lies behind that gate is the stuff of Tuscan fantasies. 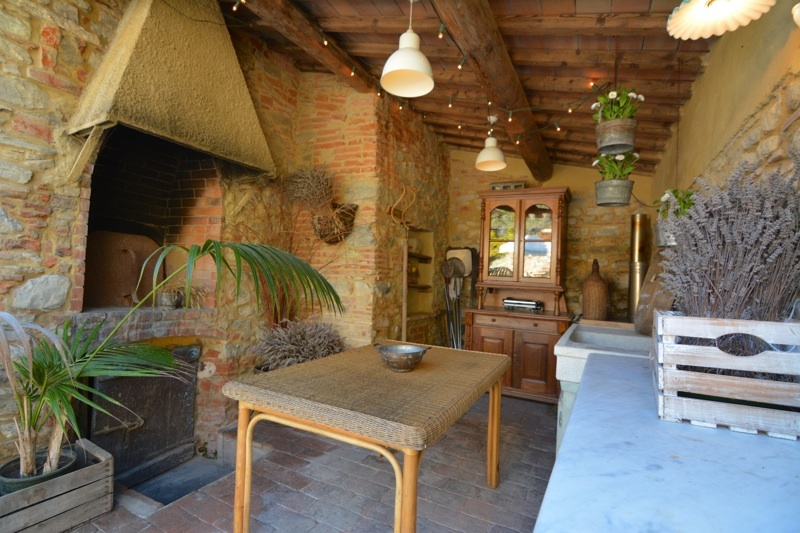 Made possible by Passepartout Homes, I would finally have my own Under the Tuscan Sun moment. Through the gates and down the tree-lined dirt road, the ten-acre estate began to reveal itself. Waiting in front were Lido and Giovanna, the property owners and my hosts. In typical Italian fashion, I was greeted in the most hospitable of ways—smiles and kisses all around. This was their home, the place where Federica, their now twenty-year-old daughter, was raised. The family’s memories were made along every rolling hill and under each fallen branch, and I felt honored to have the opportunity to make a few of my own. Gregarious and animated, Lido showed me around the estate. 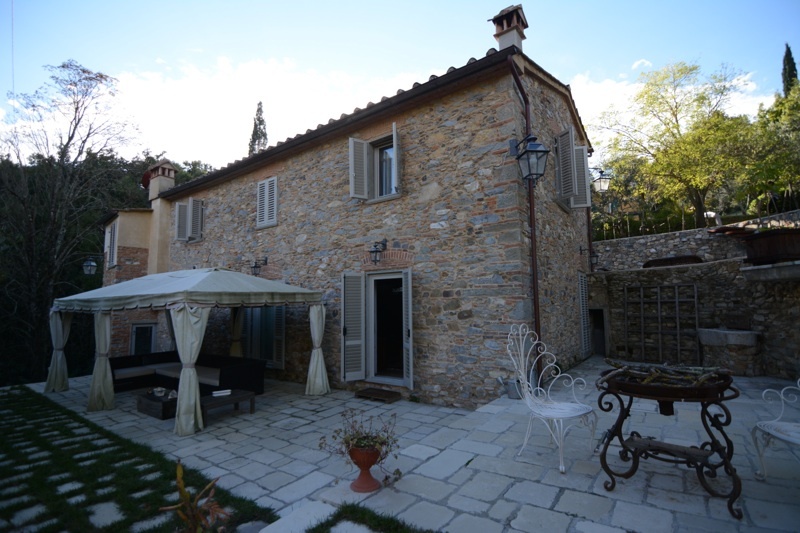 Two large houses and a massive swimming pool were set amongst the Tuscan hills. It was mid-October, and many of the trees wore their fall colors of gold and orange, though some still carried fruit. 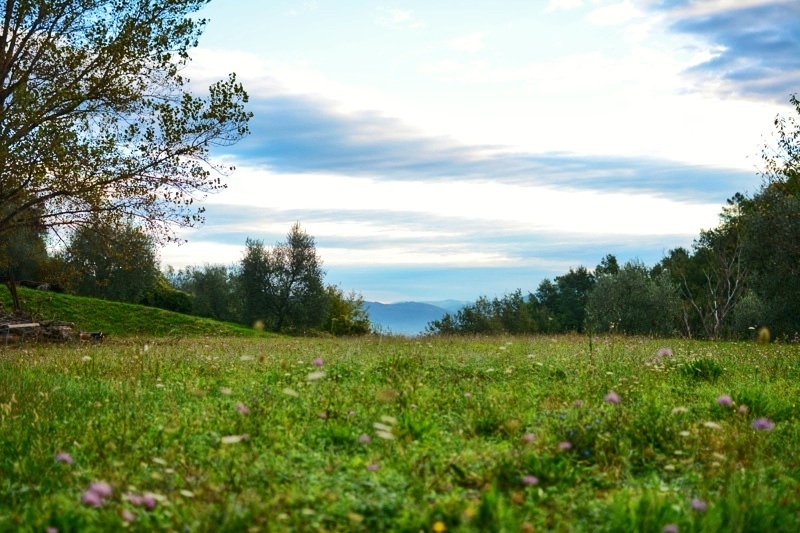 The verdant grass was peppered with fallen leaves and a few remaining wildflowers. Marking one of the property’s boundaries was a river that trickled over a rocky bed. The flowing water was the only discernible sound, until the nearby Bacchereto church bells marked the hour. 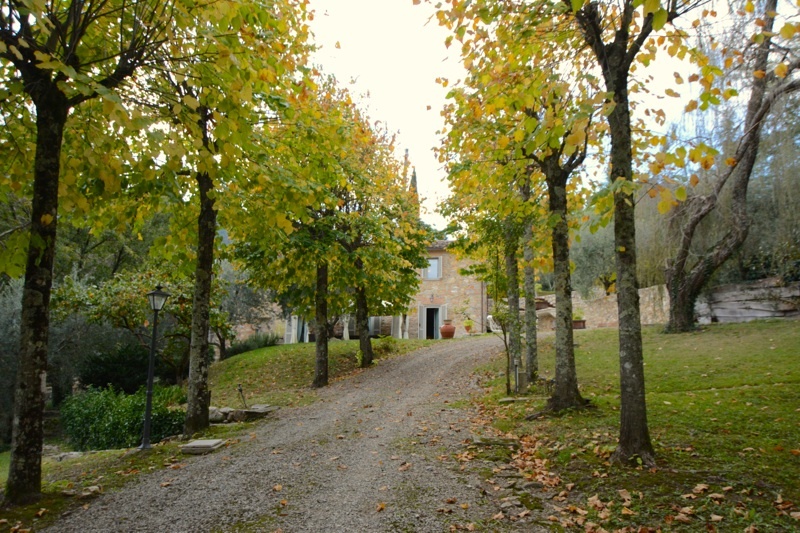 A thousand years ago, the villa where I would stay was a public mill. Powered by the property’s river, the swimming pool once served as the mill’s water reservoir. A far cry from its humble beginnings, since Lido and his family lovingly took the 3,200 square foot rock structure and transformed it into a luxurious villa, being careful not to detract from its original charm. 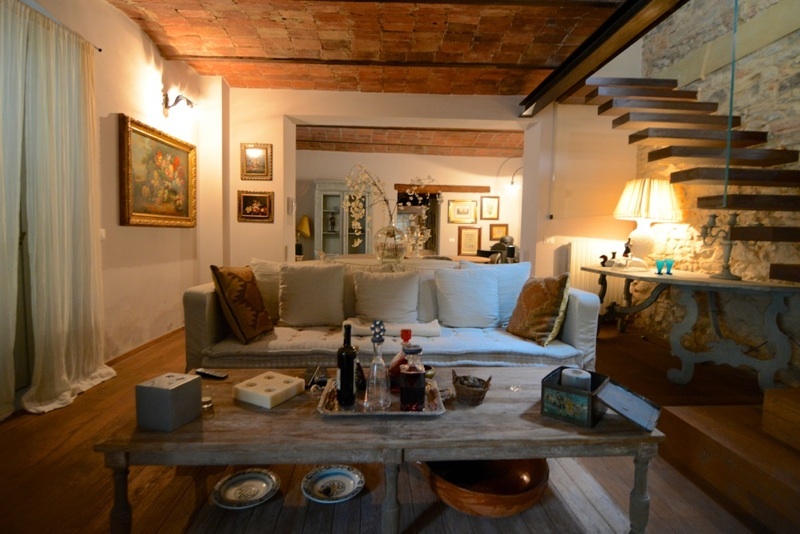 The home retains much of its original character while catering to discerning, modern-day guests. Between a wine trip to Chianti, lazily lounging around the villa and attending a chestnut festival in Bacchereto, my three nights at the Old Mill passed far too quickly. 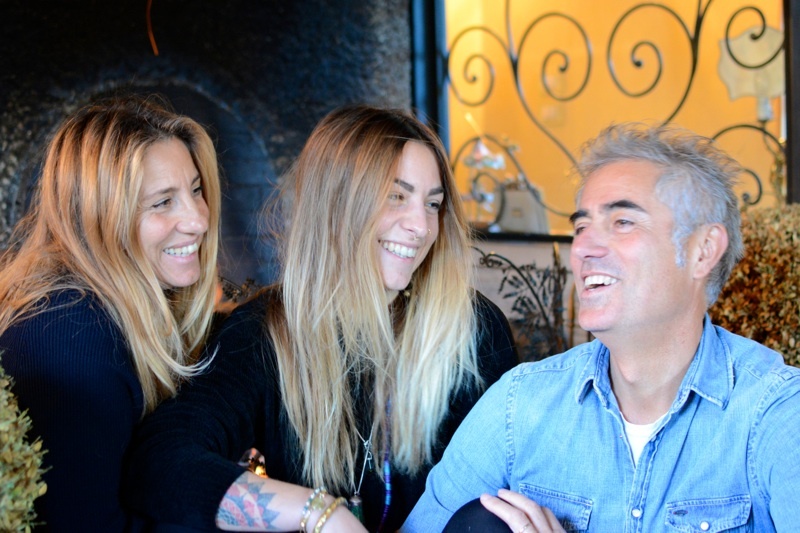 Before I left, however, Lido, Giovanna and Federica invited me to their Sunday lunch. As I sat at their dining room table, a seemingly never-ending parade of dishes arrived piping hot from the kitchen. Heaping spoonfuls of Italian goodness were piled onto my plate and bottles of wine were opened. The liveliness of the conversation, picturesque setting, Tuscan reds, homemade limoncello and the feeling of family made me never want to leave. My time in Venice and Tuscany gave me the kind of interactions that I crave most as a traveler, ones that can only be found by staying in someone’s house. Both Passpartout Homes were as lovely as any five-star hotel room. What they lacked in turn-down service was made up for in genuine hospitality. In Italy, I felt like I was home. And for me, that’s the ultimate in luxury.